Since the release of Ubuntu 14.04 LTS, more than 450 million public cloud Ubuntu instances have launched, making Ubuntu the basis for the majority of cloud-based workloads. In fact, more than 60% of large-scale production clouds are running on Ubuntu operating systems (OS). This includes workloads and use cases across telecommunications, financial services, public sector, and many other industries that count on the stability and continuity of the underlying OS to provide the mission-critical service their customers and employees rely on. 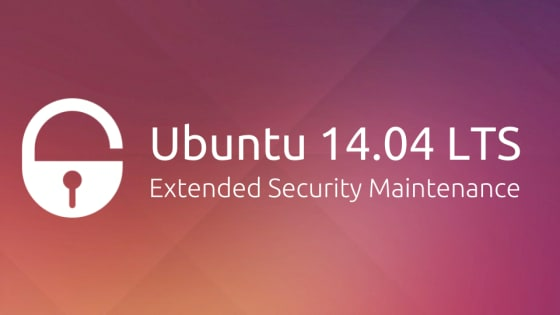 As Ubuntu LTS releases transition from the standard, public maintenance window, Extended Security Maintenance (ESM) is available for organisations with their workloads on Ubuntu LTS releases to maintain that stability and continuity, ensuring system security and compliance. With the end of its five-year standard support window in April, Canonical is announcing the availability of ESM for 14.04 starting 25 April 2019. ESM for 14.04 provides ongoing kernel security fixes through a secure, private archive for three years until April 2022. This continued protection from major security vulnerabilities enables development and operations teams to plan and manage application upgrades in a failsafe environment. ESM is available as a feature of an Ubuntu Advantage subscription. Please get in touch with our team if you have any questions about the transition of 14.04 to ESM. Commercetools reduced operational risks and increased GDPR compliance across their legacy deployments thanks to Ubuntu’s Extended Security Maintenance. ITstrategen used Extended Security Maintenance to guarantee the continued security of its servers and saving its clients from costly application updates. Ubuntu 12.04 was the first Long Term Support release to receive Extended Security Maintenance. ESM for 12.04 provided fixes for more than 60 high and critical priority vulnerabilities for Ubuntu 12.04 users. These fixes provided safeguards for high-profile issues such as data protection for GDPR compliance, and Spectre and Meltdown vulnerabilities. ESM is a feature available as part of Canonical’s commercial support package: Ubuntu Advantage. Contact our team if you would like to learn more about Ubuntu Advantage and ESM for 14.04.